Image of the Coax circular waveguide transition. Although coaxial to rectangular waveguide transitions are far more common than coaxial to circular waveguide transitions, circular waveguides are easier to manufacture, implement and is often used to feed conical horns. 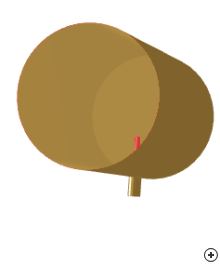 In radar applications where rotary joints are used a circular cross section is necessary. The circular waveguide can be matched to a coaxial line for a range of impedances by the appropriate choice of probe height and inset from the waveguide's short-circuited end. 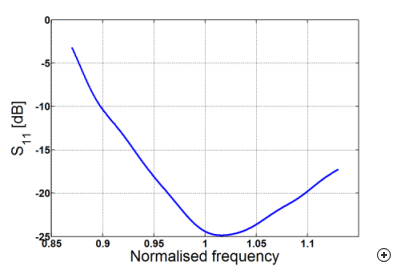 The circular waveguide's dominant mode is the TE11 mode with a maximum practical bandwidth of 12.4 % due to cutoff frequency of the TM01 as the coaxial feed does also excite the TM01 mode. 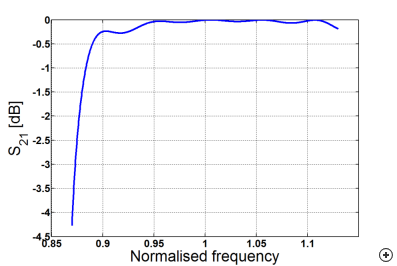 The figures below show the reflection and transmission coefficients for a 50 Ohm design. 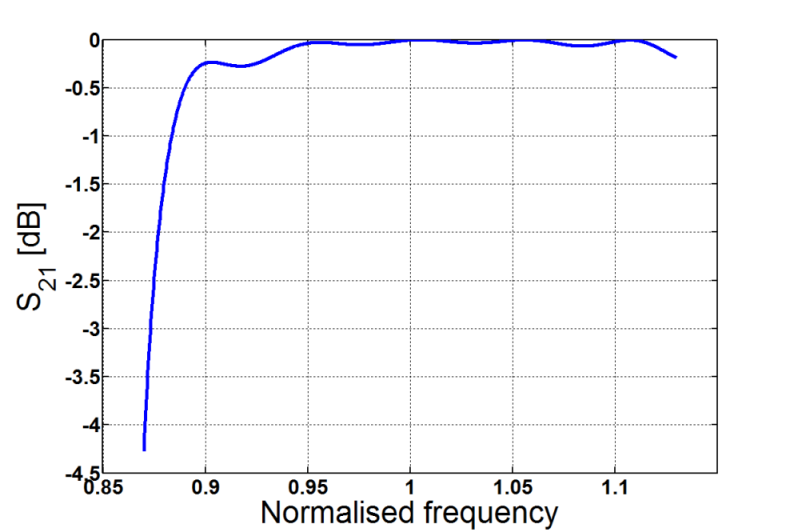 Typical reflection coefficient versus normalised frequency. 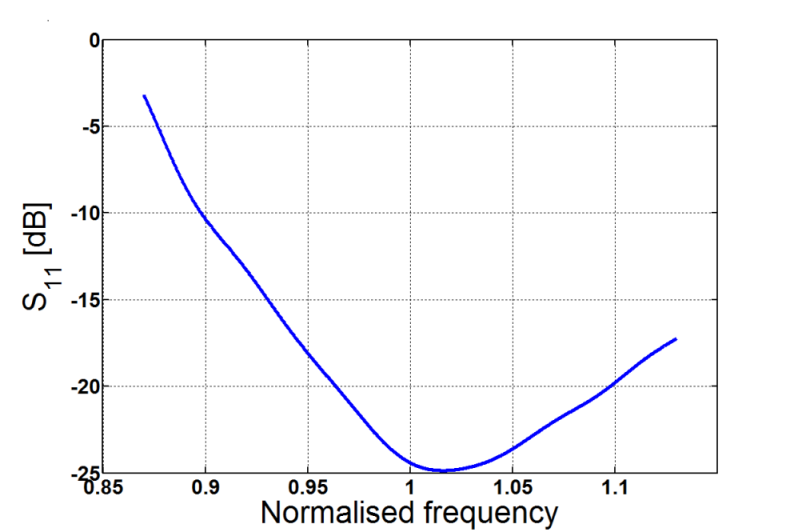 Typical transmission coefficients versus normalised frequency.